Whether you’re off to a fancy event straight after work, commuting to a meeting, or perhaps travelling to a wedding, our promotional Suit Covers will ensure your glad rags stay pristine right up to the moment you put them on. 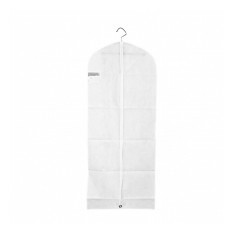 Everyone at some point will need to travel with their suit or dress, and there is no better way to take it with you than in a personalised suit cover. 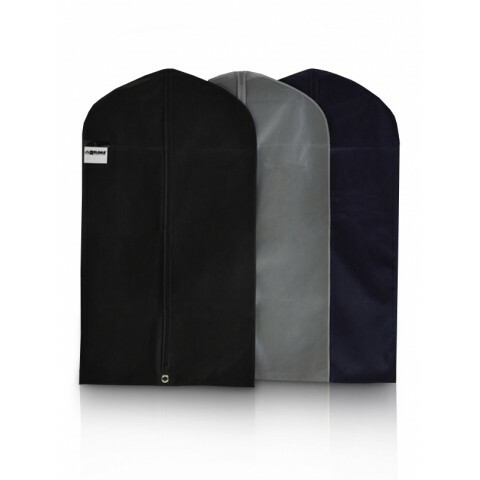 Our customised garment covers come in a range of materials and sizes making them a great functional product. Our custom printed suit covers are popular with dry cleaning businesses and clothes shops, but would make a great personalised gift for bridesmaids and best men for weddings! 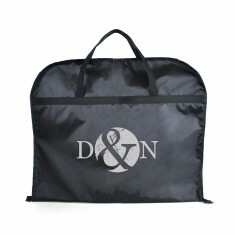 We would recommend our branded Suit Bag, which comes in 5 stylish colours that are sure to impress. 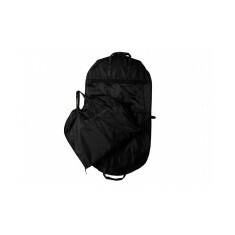 This suit bag comes with a handy oval window for ease of viewing, making it a great option for businesses, and with such a generous branding area your brand is sure to be noticed. It also features a metal grommet for easy transportation, making it perfect for those on the go, and is an ideal length for big and tall clothes such as evening gowns or suits. Whether you’re looking for a personal gift, or a platform to advertise your business, we’ve got your clothes covered. Recycled fabric material. Oval window. Metal grommet at bottom. Reinforced hanger opening. Breathable design. 75gsm non woven polypropylene. Metal grommet. 210D polyester material. 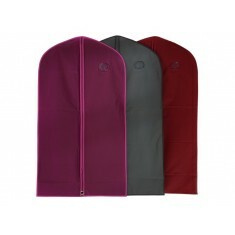 Zipped closure & carry handles. 2 week lead time.